A suicide bomber believed to be as young as 12 struck Kabul's heavily fortified diplomatic quarter on Tuesday and killed at least five people. 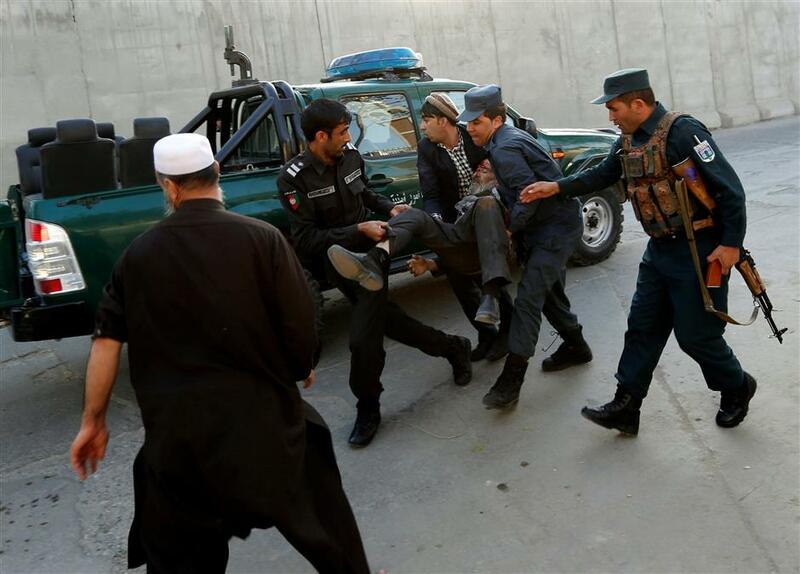 Afghan policemen carry an injured man after a blast in Kabul, Afghanistan on October 31, 2017. A suicide bomber believed to be as young as 12 struck Kabul’s heavily fortified diplomatic quarter on Tuesday and killed at least five people, showing that militants can still hit the heart of the city despite tighter security. A Western security source said the attacker appeared to have been targeting workers leaving an Afghan defense ministry facility inside the heavily protected zone. Health ministry spokesman Ismail Kawoosi said that at least five people had been killed and 20 wounded, including women. “We don’t know the target but it happened a few meters from the defense ministry’s foreign relations office. There were no casualties to our personnel,” Waziri said. “I was 100 meters away when the explosion happened and as I ran towards the site I saw several people lying in blood — one had been hit in the head and was moving. It was a horrible scene,” an eyewitness told TOLOnews. AFP reporters heard a loud explosion around 4:00pm (1130 GMT) just as workers would have been leaving their offices to go home, followed by the sirens of emergency services. The attack struck the heart of the city’s diplomatic area, where many embassies and the head offices of major international organizations including NATO’s Resolute Support mission are located.